Cheese at a not so cheesy price. The two things this cheese has going for it are: it’s cheese and it’s cheap. Let’s take the cheese thing first. Assuming ALDI has to play by the same labeling requirements as other cheese sellers, there’s nowhere on this label that says this is imitation cheese, processed cheese, processed cheese food or other strange combinations of words that start to make you wonder, what’s really in here? 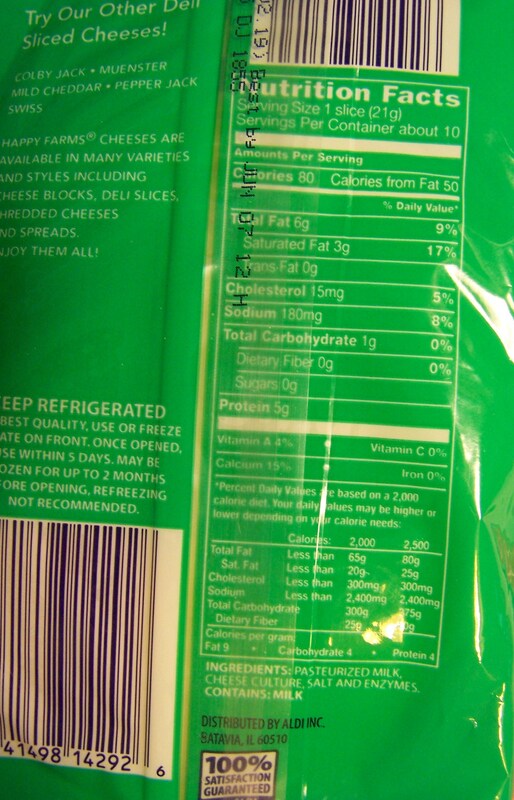 According to the ingredients it’s; pasteurized milk, cheese culture, salt and enzymes. Let’s take the cheap thing second. $2.19 for 8 ounces. That’s about as low as everyday prices are in the current market. 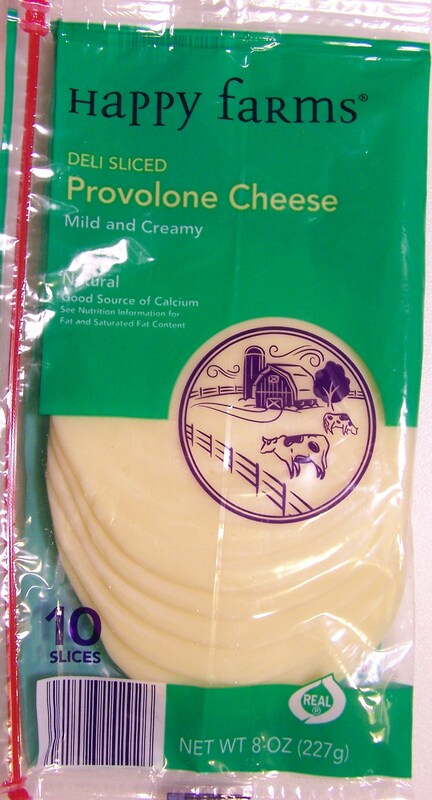 At $4.38 per pound it’s not $10 or $15 per pound Italian Deli provolone cheese. Make no mistake about that. This is a rather soft provolone with a very mild taste. The taste is not especially describable, but at the same time different from similarly priced American or cheddar cheese. The label says, “mild and creamy.” That’s about right. It melts fairly well. I used it on a hamburger to make it a cheese burger with a little different taste. Similarly, it serves well as a slice of cheese on a sandwich. This entry was posted on 02/15/2012 at 10:00 and is filed under ALDI, Recipes, food, cooking and related items. You can follow any responses to this entry through the RSS 2.0 feed. You can leave a response, or trackback from your own site.